The action throughout was of a high quality but the undoubted high points have to be the standout performances by Alexander Gustafsson and Gunnar Nelson, with the compelling bouts between Pickett/Seery and da Silva/Scott and big wins for Ilir Latifi, Luke Barnatt and Louis Gaudinot. The new announce team of John Gooden and Dan Hardy did a fine job, offering informative and engaging commentary while not stepping on the action or indulging in self aggrandisation – a rare and special feat in terms of MMA announcing it seems. A lot of UK cards have felt a tad second rate in the past, headed by bouts that wouldn’t make the main card of a US show but that criticism simply cannot be aimed here. Two number one contenders were decided and some other fighters took big steps towards the top echelons of the divisions. Even the late replacements to the card were significant with Neil Seery proving a great test for Brad Pickett and really showing his quality (Dana White was vocally impressed, for one thing) while Michael Johnson added to his win streak with plenty to spare against Melvin Guillard. A strangely lacklustre co-main event where some promising trash talk resulted in a tepid match with long periods of reluctance to engage interspersed with burst of compelling action was a bit disappointing. Indeed, I don’t recall another match that had several near knockdowns that proved so unsatisfying and unmemorable. The new EMEA ring announcer (who’s name I’ve forgotten already) wasn’t convincing and I can totally understand the criticism of some US commentators feeling that his delivery made the show seem like a regional level event. Do we not have anyone in the UK who won’t fluff the information given on their cue cards and doesn’t make their ring announcing sound like a pro wrestling bout in a working men’s social club, circa 1982? In truth, it wasn’t a great night for British fighters as they went 1-4 on the card, with only Luke Barnatt really adding to his stock (I’m not counting Pickett vs. Seery here as it was pretty much a derby fight) but Brad Scott can feel aggrieved at losing the decision in his fight and Manuwa and Mitchell both showed plenty of skills and entertainment value. Towards the end of the Igor Araujo vs. Danny Mitchell match, the two fighters were locked in a mutual leg lock and with time winding down, they flailed at each other like (admittedly large and strong) toddlers fighting over who gets to play with the toy bricks. Totally understandable in the circumstances, but visually hysterical nonetheless. Disclaimer: We watched the whole show on Fight Pass / BT Sport, so didn’t have first hand experience of the Channel 5 offering of the top fights, but by all accounts their broadcast was embarrassingly bad which shouldn’t surprise anyone who witnessed their half assed attempts on BAMMA shows. It had to be Pickett vs. Seery for sheer competitiveness, quality and variety of action and a sense that the fight mattered. While not quite the OMG spectacle I had built the fight up to be, it still had a bit if everything and I can’t criticise Brad Pickett for doing the sensible thing and taking Seery down to ensure what was a vital win for him. Alexander Gustafsson, who waited till he had Jimi Manuwa’s measure and then ended his undefeated streak almost at will, choosing to turn up the heat midway through the second round and quickly dropping the powerful Englishman. This was exactly the result Gustafsson needed following his razor thin loss to Jon Jones and he is back as #1 contender once again. Gunnar Nelson for handling the very dangerous Omari Akhmedov with his characteristically unhurried style. Nelson has never been one to rush things or look particularly stressed by a situation, but his calm demeanour through the early striking exchanges and his supremely smooth jiujitsu towards the end made a worthy opponent look like a beginner at Mjollnir MMA that Nelson was demonstrating techniques to. 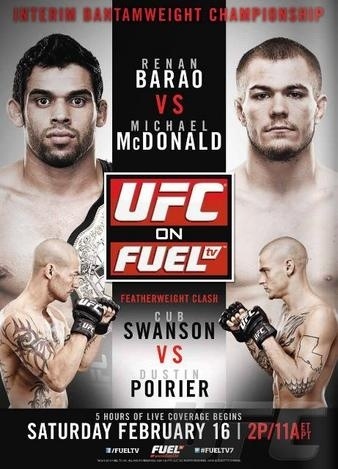 Surely a top ten opponent for Gunnar next, maybe Mike Pyle or the winner of Matt Brown vs. Erick Silva? Notable mentions go to Ilir Latifi for a good performance and brutal neck crank submission win, Luke Barnatt for a big KO over a very underrated Mats Nilsson and Louis Gaudinot for his party pooper early sub of Phil Harris. 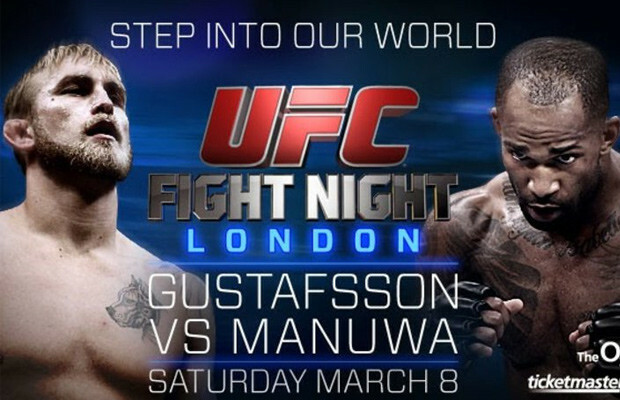 This card is stacked with fun fights, but I’m particularly looking forward to the headliner between Alexander Gustafsson & Jimi Manuwa as two European fighters with a penchant for intense striking battles face off with the promise of a title shot on the table. What’s not to love about that? That said, my pick for fight of the night is the Flyweight contest between Brad Pickett and Neil Seery – two reliably entertaining fighters with a few built in story lines for added value (Pickett’s hunt for a title shot, Seery’s ‘Rocky’ story and the whole England vs. Ireland thing) facing off in a guaranteed barnburner. Throw in UFC debuts for Danny Mitchell and Mats Nilsson, the fact that every single match (bar the co-main event) will have a an impact on our European rankings and I can’t see any way that Michael Johnson vs. Melvin Guillard and Omar Akhmedov vs. Gunnar Nelson will be dull matches. I’m also excited to see how the box fresh commentary team of John Gooden and Dan Hardy get on. Gooden has long been one of my favourite announcers and Hardy is easily one of the most engaging figures in MMA, so they should be an excellent partnership. Our live tweeting will be done from a party (UFC at a civilised hour is a good excuse to gather friends and have a few beverages, no?) and may well include photos and videos of our own merry-making chaos as well as insight on the fights themselves. We’re gonna have a great night, and we think everyone who attends or tunes in will as well. Channel 5 from 9.45 p.m. GMT for the co-headliners and highlights. We’ve already covered the title match that tops this card, but we felt that the stacked undercard deserved some article space of its own. If you are planning on checking out this weekend’s card in person or on ESPN (at a sensible time for once) but don’t know many of the undercard fighters, we are your hook up. Let’s start with the co-main event, which sees Featherweight title hopefuls Cub Swanson (18-5) and Dustin Poirer (13-2) facing off in a match that should go some way to seeing who’s next after Anthony Pettis to challenge for the 145 belt. Swanson is in his best form for years, off the back of three knockout victories including one against England’s Ross Pearson, since his 2011 submission loss to Ricardo Lamas. Having only lost to genuine top level guys since his debut and tending to finish fights, Swanson’s lone KO loss has gone on to form a regular part of UFC highlight packages as it earned Jose Aldo his WEC title shot, only eight seconds after the bell. Swanson is surely keen to earn a shot at revenge. A year ago, Dustin Poirer seemed to be the next logical choice to challenge at 145 riding a five fight win streak but with the division backing up as Jose Aldo was injured he took a match against Chang Sung Jung which resulted in a fourth round submission loss and neatly removed him from the conversation. Rebounding with a first round submission of Jonathan Brookins with the rarely seen Brabo Choke, Poirer knows a victory over Swanson could easily put him within a further win of a title shot, especially as the likes of Lamas and Jung are going to have to fight again while Pettis drops down to face Aldo. 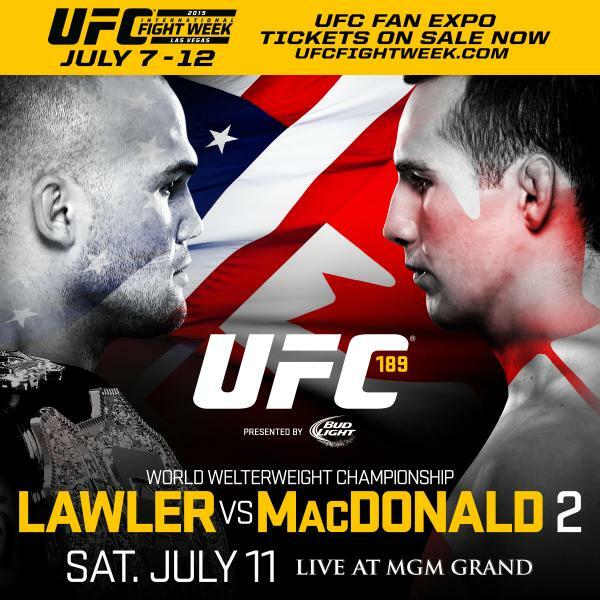 Both of these guys show everything good about the lighter weight classes, being technically excellent, well rounded and perfectly capable of winning the fight standing or grappling and both tend to finish fights with only eight if a combined 38 bouts going to a decision. This is practically a guaranteed barnstormer, and on a lesser card would be a shoe in for multiple ‘of the night’ honours. However, there are a few standout contenders there, not least the likely kickboxing exhibition we are to receive from Jimi Manuwa (12-0) and Cyrille Diabate (19-8-1). Manuwa comes in with a perfect record of stoppages, with his last two opponents Anthony Rea and the tough as nails Kyle Kingsbury going out on the stool as doctors called the bout off between rounds, such was the beating that Manuwa supplied. Diabate is the more experienced and arguably well rounded competitor as while his fists and knees will always be his primary weapon of choice, he’s ground his way to plenty submission and decision wins too. Of course, Cyrile has also tasted defeat (which Jimi has not) and while he’s only been KO’d once, he’s been submitted a few times and I hear tell that Manuwa is no slouch on the ground… it’s just we’ve never really seen it in the cage to date. Next up, we have what promises to be an awesome ground battle as undefeated Icelandic prospect Gunnar Nelson (10-0-1) faces the experienced Jorge Santiago (25-10) who is dropping to welterweight in an attempt to improve his 1-4 UFC record in his third stint with the promotion. Nelson is a bit of a grappling prodigy, as illustrated in the slick and calm fashion he submitted Damarques Johnson in his UFC debut. However, Santiago is a real step up in competition and is no slouch on the mat, having never been submitted in MMA and having tapped out the likes of Kazuo Misaki and Siyar Badahurdaza as well as winning via knockout and decision over Misaki as well as top notch middleweights such as Mahmed Khalidov and Andrei Semenov. So we have an undefeated European submission prodigy facing a journeyman Brazilian who’s never been submitted making maybe his last crack at the big time. Who writes this stuff? Oh, it just happens? Cool. The well rounded Blackzillians is coming off a seven second KO of Anthony Perosh and is set to face another Aussie in the shape of hard hitting James TeHuna (15-5) who comes in off a three fight win streak since a 2011 submission loss to Alexander Gustafsson. The winner of this bout will find themselves on the outskirts of the 205lb title picture, behind the likes of Gustafsson and Glover Teixeira and I’d expect them to come out swinging as if the belt itself was on the line. Of course, if recent Blackzillians performances are anything to go by, expect Jimmo to gas in the third and lose by KO or decision. Rounding off the main card is a pretty cool bout between Scotland-by-way-of-Gloucester’s Che Mills (15-5) and TUF alumnus Matt Riddle (7-3) who seems to have gone out of his way to piss off British fans and insult our referees in the process. Not cool. Much as we usually like the character named “Chipper” on TUF, Mills is Scots and Riddle has talked trash about the Brits. Go Che, knock him out! The preliminary card is almost a redemption ground for British fighters with Team Kaobon fighters Terry Etim (15-4), Paul Sass (13-1) and Andy Ogle (8-2) (who was nice enough to speak to us over the weekend and you can check that interview out here) looking to recover from harsh losses in their last bouts (via KO of the year to Edson Barboza, shock sub to Matt Wiman and robbery decision to Akira Corassani respectively) against foreign fighters also coming off of losses, Renee Forte (7-2), Danny Castillo (14-5) and Josh Grispi (14-4). While Etim, Sass and Castillo are probably secure in their jobs, Ogle and Forte are fighting for their UFC careers, having lost their debut and Grispi has it all to lose as he comes in on a three fight losing streak. With stakes like those, expect these guys to bring it. Despite losing his debut to Brad Tavares, Tom “Kong” Watson (15-5) has been handed a tough sophomore outing as nominally undefeated Stanislav Nedkov (12-0-0, 1NC) drops down from light heavyweight. Nedkov was beaten by Thiago Silva last time out but with the Brazilian AGAIN failing a drug test, the result was overturned to a No Contest. Kong’s weakness has long been wrestlers, and with Nedkov always looking to trade, this could be a much better matchup for him. Rounding off the card we have Bantamweights Vaughan “Love” Lee (12-8-1) and Motonobu Tezuka (19-5-4) and flyweights Ulysses Gomez (9-3) and Phil Harris (21-10) also looking to recover from losses, with their jobs possibly on the line. With such odds in play, in front of an always boisterous London crowd, who would possibly suspect that these fights will fail to produce, so if you’re not going along, I pray you log onto Facebook and set reminders for ESPN on Saturday night. It’s gonna be great! We’ll be tucking into Alpaca steaks and watching on TV, with live tweeting on @TeamKumite by our own @RossStevenson.